A Trumpeter Swan (Cygnus buccinator) walking on a snow covered field. A Trumpeter Swan (Cygnus buccinator) standing in snow. A flock of Mallard ducks (Anas platyrhynchos) taking off into flight. A Bald eagle(Haliaeetus leucocephalus), resting on an electric post. 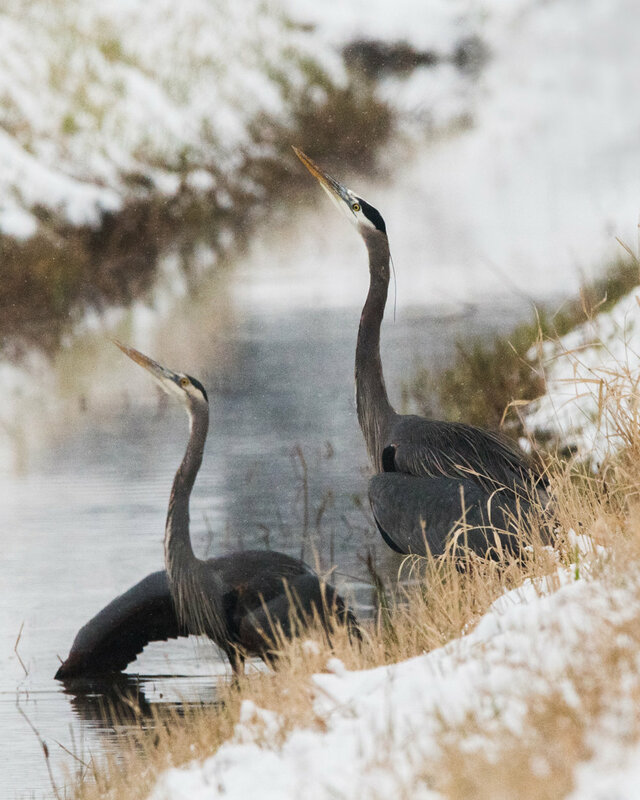 A pair of Great Blue Herons (Ardea herodias) exhibiting a ritualistic dance routine in the snowy landscape. A Great Blue Heron (Ardea herodias) walking on a snowy field. A Great Blue Heron (Ardea herodias) standing in fresh snow. A Bald eagle (Haliaeetus leucocephalus) looking down at Mallard ducks (Anas platyrhynchos) in anticipation of a meal. A Bald eagle (Haliaeetus leucocephalus) flying among Mallard ducks (Anas platyrhynchos) in anticipation of a meal. A Rough Legged Hawk (Buteo lagopus) in flight, looking for prey on the ground. 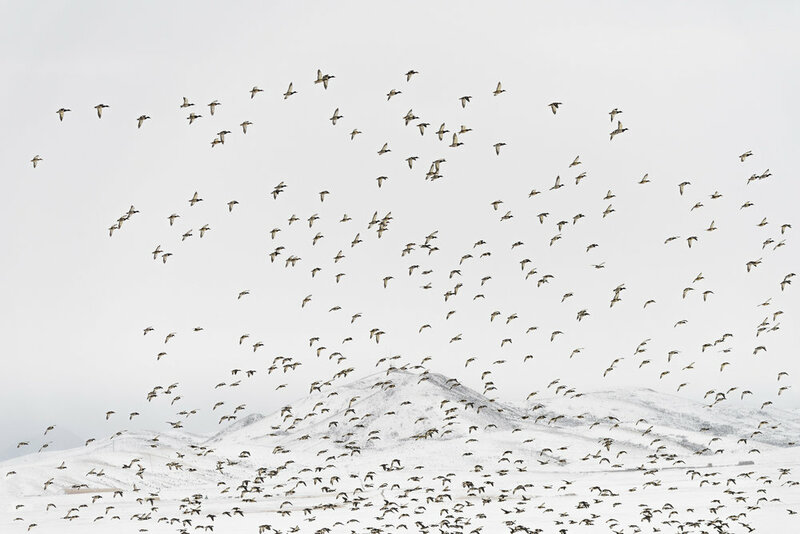 Mallard ducks (Anas platyrhynchos) flying in a snow filled landscape. Mallard ducks (Anas platyrhynchos) flocking together in a snowy landscape.